Pipatpon is using Smore newsletters to spread the word online. 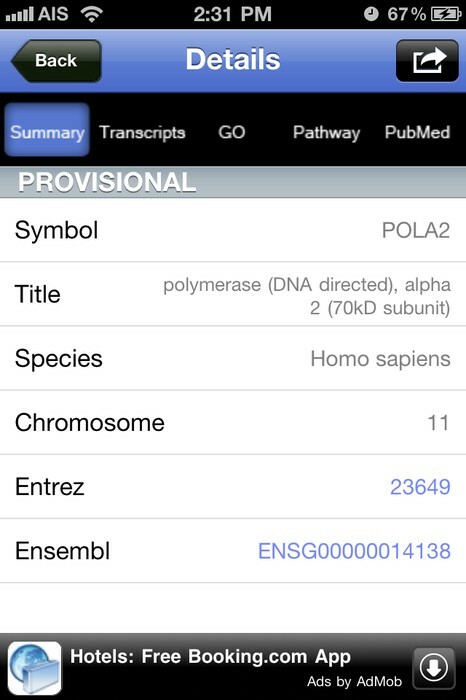 SimGene is an iPhone/iPad/iPod touch application designed for molecular biologists, bioinformaticians and medical researchers. 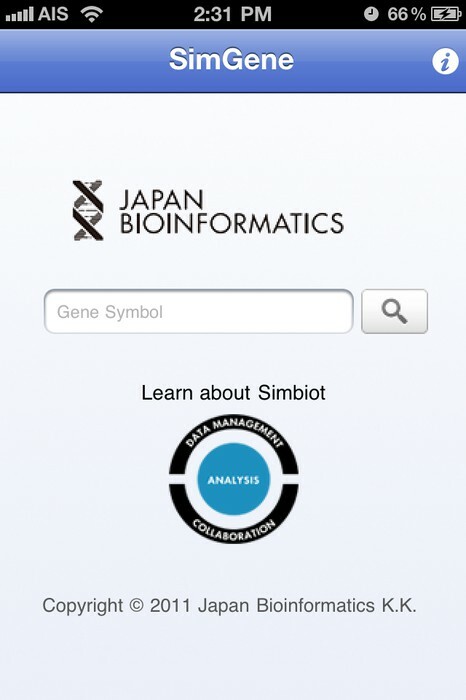 The application interfaces with Simbiot, Ensembl, NCBI, Gene Ontology, KEGG Pathways, PubMed, Genomic Variations and many other databases to retrieve up-to-date annotation information for over 30 species, based on gene symbol search. The application provides gene and transcript cross reference information for NCBI, Ensembl, RefSeq and UniProt. 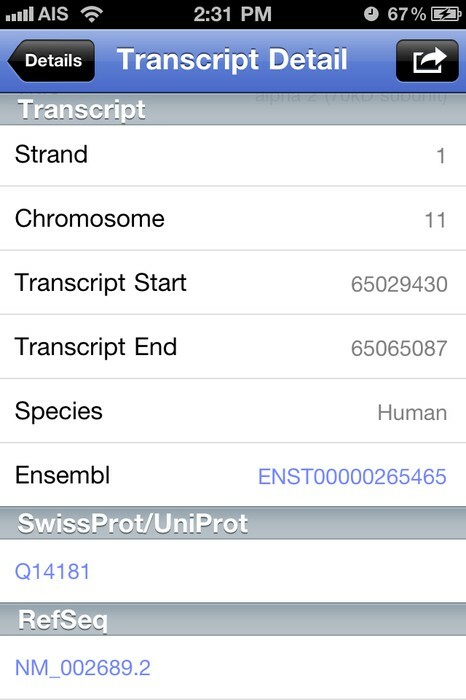 SimGene also contains an integrated genome browser with information on genes, transcripts, exons and SNPs.